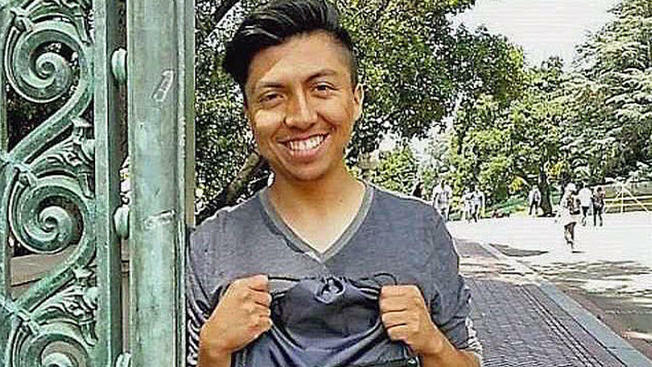 According to federal officials, the U.S. Immigration and Customs Enforcement (ICE) agency detained 20-year-old Luis Angel Mora Villota for violating his visa conditions. Mora Villota, a pre-law student at the University of California, Berkeley, made a wrong turn and ended at a border checkpoint, said his lawyer. Mora was apprehended on December 30th, according to a spokeswoman for U.S. Customs and Border Patrol, who said they couldn’t comment on the specific circumstances. 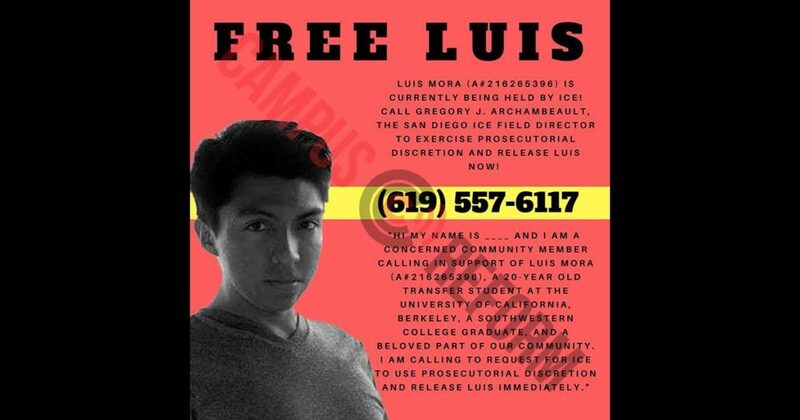 Prerna Lal, who is Mora’s attorney through UC Berkeley’s Undocumented Student Program, announced via Twitter that her client is at the Otay Mesa Detention Center in San Diego County, which is a private prison facility located two miles from the border. Mora traveled to the south of the state to celebrate the New Year with his girlfriend, Jaleen Udarbe, who was with him at the moment of detention. 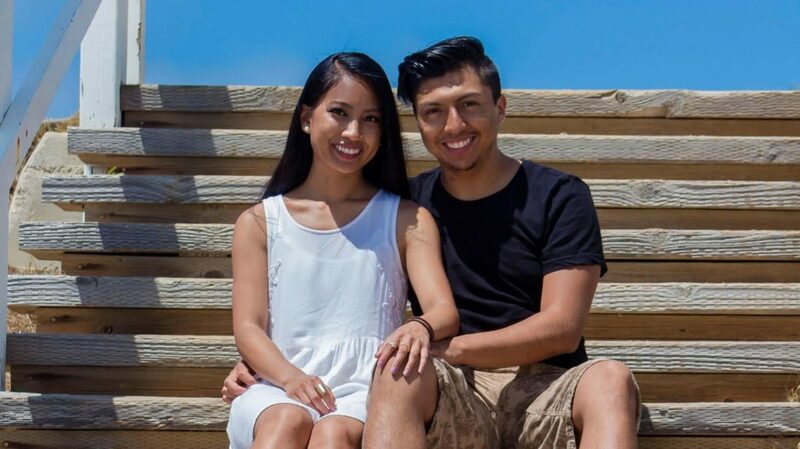 Mora and Udarbe were heading back home after a party when they got detained by a border patrol officer. A native of Colombia, Mora arrived in the United States on a tourist visa when he was a child, but he overstayed his permit and thus, started living undocumented in the country. According to the San Diego Union-Tribune, Mora grew up in the area and went to Southwestern Community College, where he met Udarbe. Udarbe reached Mora’s mom, who lives in Ecuador. She called the school that Mora attends, and with the help of friends and people from the community, she was able to launch a campaign through social media to spread information about her boyfriend’s case. #FreeLuis and #LIBERTADPARALUIS are the hashtags for the movement. Lal has been active on social media regarding the case. According to her, the private prison facility has not followed regular proceedings and issued Mora a Notice to Appear. “Whatever happened to the rule of law? You can’t hold someone at CBP indefinitely,” she said on Twitter. She is hopeful that Mora will continue with his studies by spring semester. Mora won the Young Latino Champion award by the San Diego Union-Tribune in 2016. At that time, the young man said that for him, a successful life would mean helping as many people as possible.